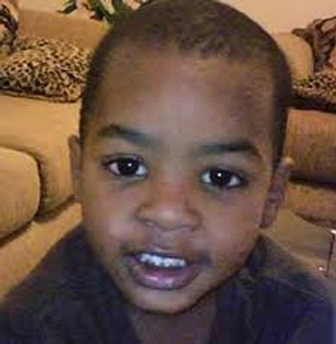 The state Supreme Court refused Wednesday to review the case of a gang member convicted of the Halloween 2010 shooting death of a 5-year-old boy who was gunned down in his South Los Angeles back yard while wearing a Spider-Man costume. Leonard Hall Jr. was convicted of second-degree murder for Aaron Shannon Jr.’s death and the attempted murders of the boy’s grandfather and uncle, who were wounded. 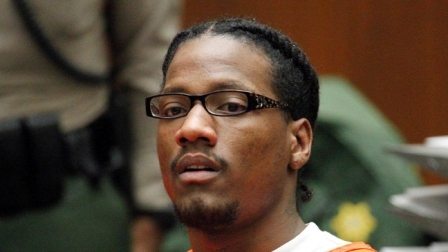 In a Feb. 6 ruling, a three-justice panel from California’s 2nd District Court of Appeal rejected the defense’s contention that there was insufficient evidence to support a gang allegation against Hall. The victims were not gang members, but were standing in a yard directly across an abandoned alley from gang graffiti disrespecting the gang to which Hall belonged, according to the ruling. The justices, however, lopped more than 13 years off of Hall’s sentence, finding that his 128-year-to-life term had been incorrectly calculated. Hall was convicted in May 2015 – with jurors finding true allegations that he personally and intentionally discharged a handgun and committed the crime for the benefit of a criminal street gang. Two other juries had deadlocked on the charges against him. Hall’s co-defendant, Marcus Denson, pleaded guilty to voluntary manslaughter in the boy’s death, along with two counts of attempted murder. He was sentenced in January 2016 to nearly 26 years in prison. Hall was seeking retaliation against a rival gang when he opened fire around 2 p.m. on Oct. 31, 2010, as the boy and his relatives were in the back yard of the family's home in the 1000 block of East 84th Street, according to Deputy District Attorney Sarika Kim. Hall and Denson went into rival gang territory in the midst of what an expert testified was an active gang war and passed behind the family's backyard. Hall stopped in the alley and circled back once they'd passed the yard, returning to shoot the boy and his two relatives, who had no gang affiliations, Kim said. Denson told police after his arrest that Hall was with him in the alley behind the boy's house and was the gunman. Denson testified that he didn’t know Hall had a gun, but that it would have been a “suicide mission” to go into rival territory without a weapon. Denson said Hall began shooting without saying a word after passing some provocative gang graffiti across the alley from the house. Hall’s trial attorney, Carol Ojo, said the prosecution's case relied on eyewitness testimony, contending there was “absolutely no physical or forensic evidence” of Hall's involvement. After the verdict was handed down, she maintained that her client was “absolutely 100 percent innocent” and had not been at the scene.